Fasten your utility belt, it’s going to be a bumpy ride! 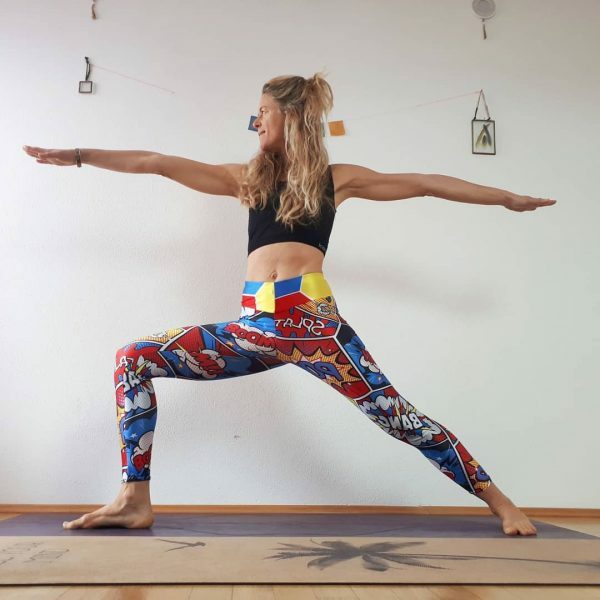 For Wonder Woman workouts and Supergirl stretches, these leggings have enough pizzazz to defeat the bad guys. 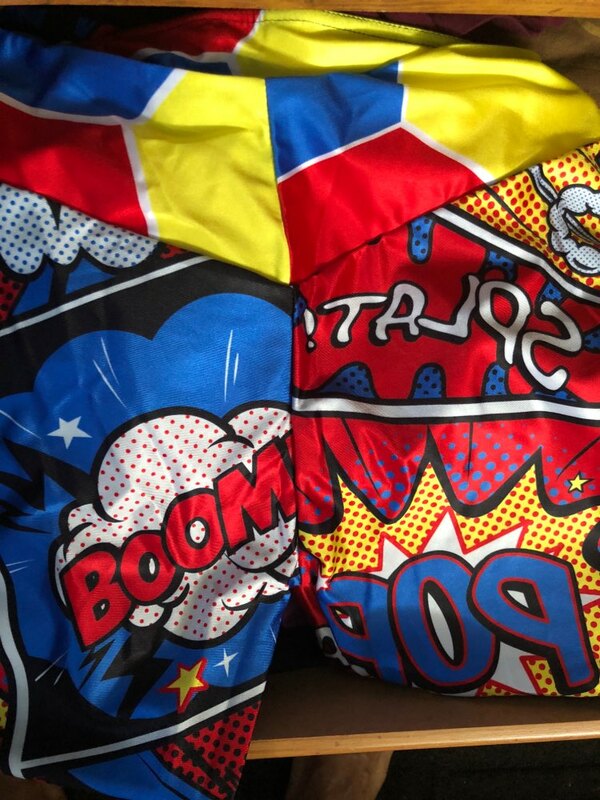 You’ll knock ’em out at the gym with these Kapow leggings that truly pack a punch. 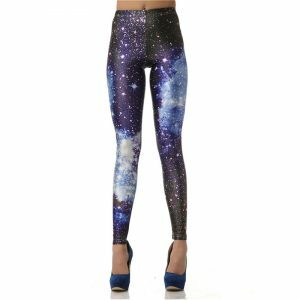 The coolest leggings you will own so far. 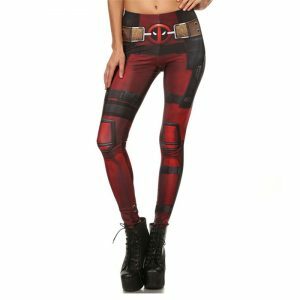 This action comic style leggings are guaranteed to generate a ton of compliments. 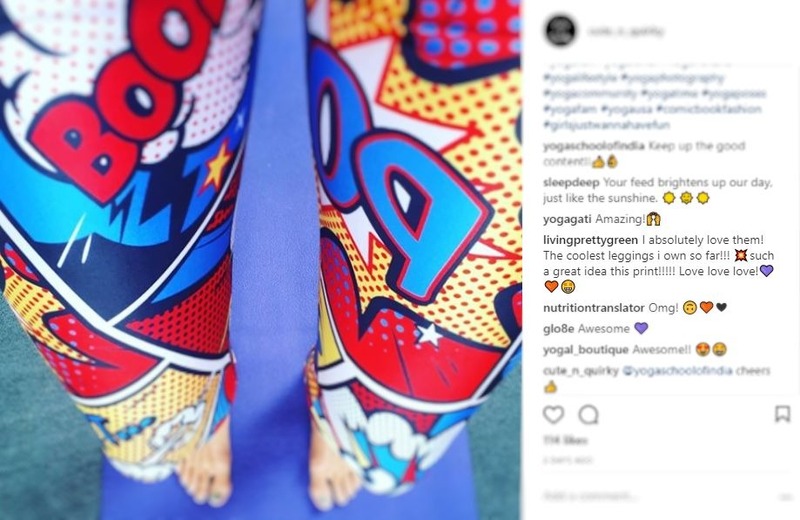 These artsy leggings come in bright vibrant colors with action words from comic books like “POP”, “SPLAT”, “BOOM”, “BANG”, “ZZZZTT..”. Get your pair now. Featuring an all over action-packed design inspired by comic books and words such as “POP”, “SPLAT”, “BOOM”, “BANG”, “ZZZZTT..”. 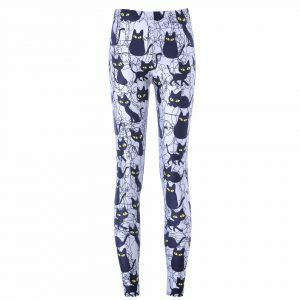 These fun leggings will soon become an indispensable item in your cool fashion wardrobe. 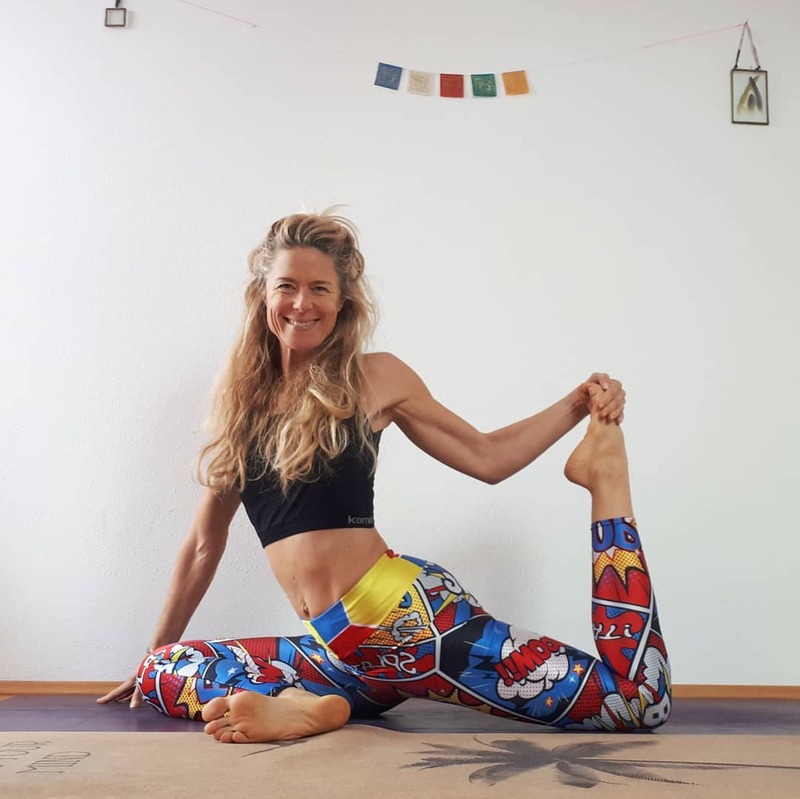 These sporty leggings are constructed with durability in mind, using high quality materials that have just the right amount of stretch for comfort and flexibility. 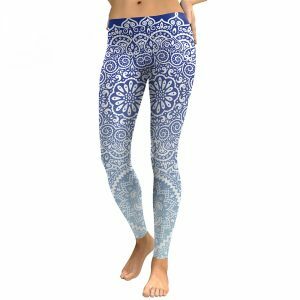 Suitable for wearing on the yoga mat or for your workouts in the gym. They are also super comfy and you will find yourself wearing them all day while reading comic books, or relaxing on the couch binge watching Netflix. 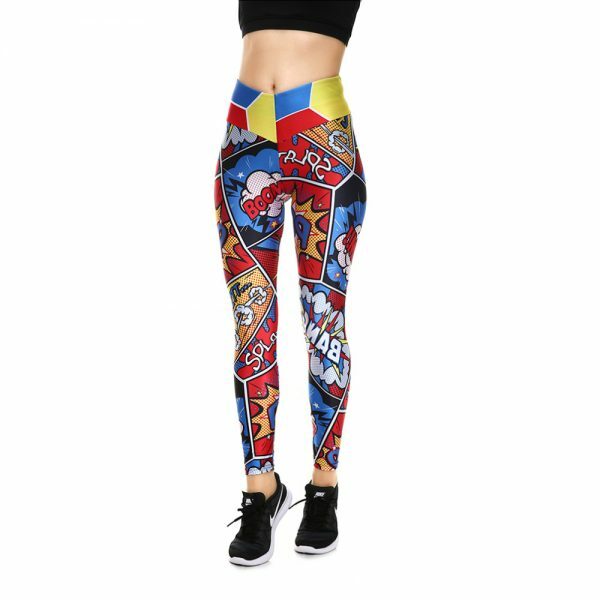 The comic book style leggings are just perfect for those with a trendy fashion interest and active lifestyle. Available in five different sizes, choose the one that fits your measurements. 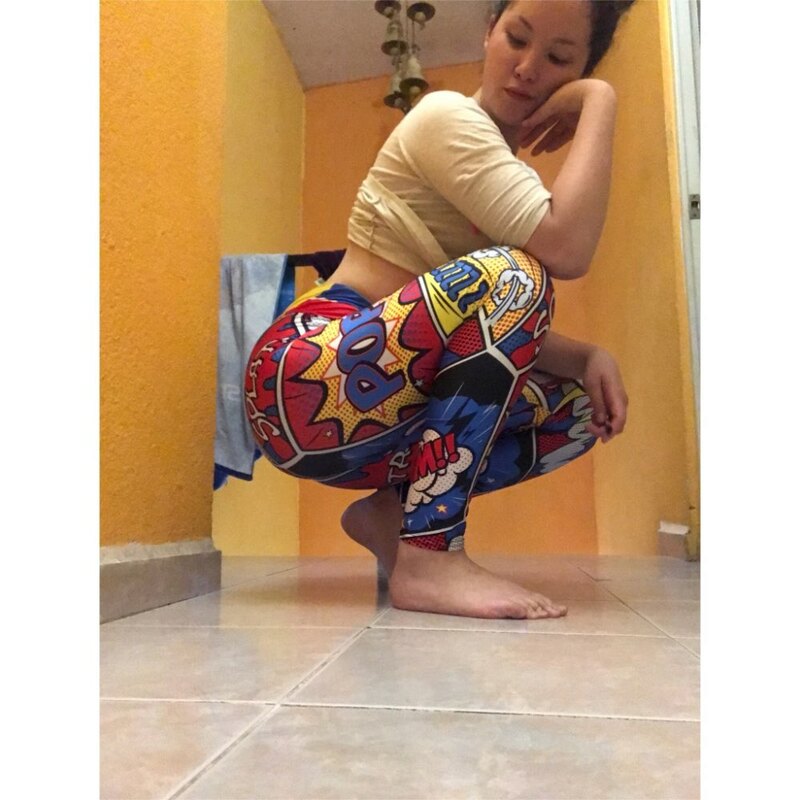 Get you pair of comic book leggings today. I love these! They are very comfortable and brightly colored! I got lots of compliments my first time wearing them! I’m 5’11 and 165 pounds – and the Large fits well. I’m usually in between a medium and a large, so these might run a little small – just a heads up! Don’t love that they are hand wash only – but I’ll live! 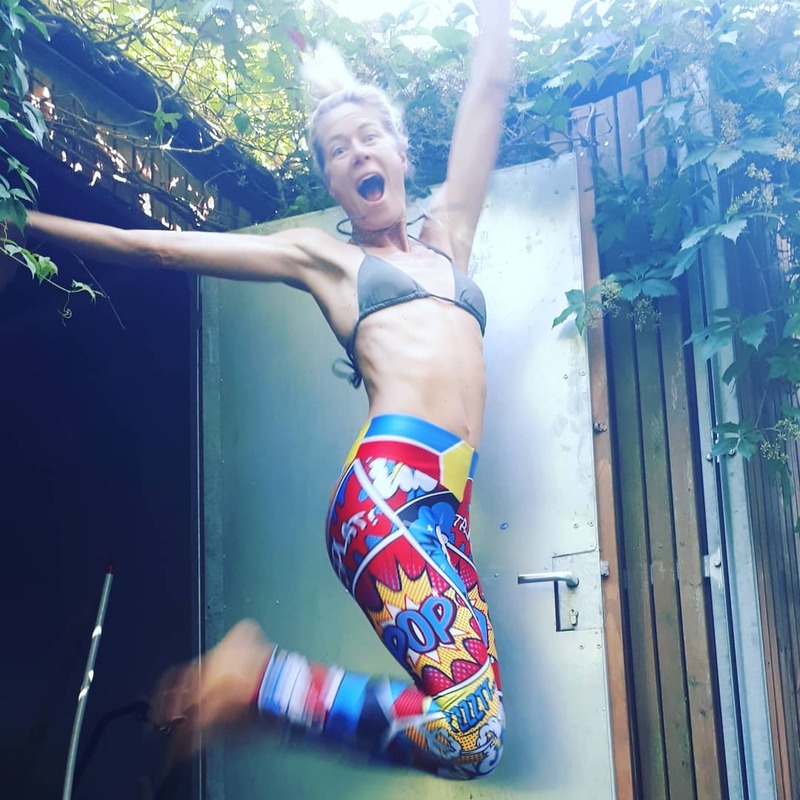 Thank you so much for my Comic Book leggings. They arrived yesterday and they are beyond amazing. The sizing is perfect, the material is not see-through which I have found to be a problem with most other leggings. Excellent material .. exactly what I wanted .. Would highly recommend! 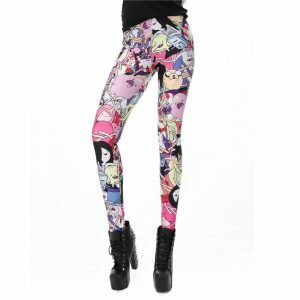 Super cute comic leggings!! Well made, trusted brand. 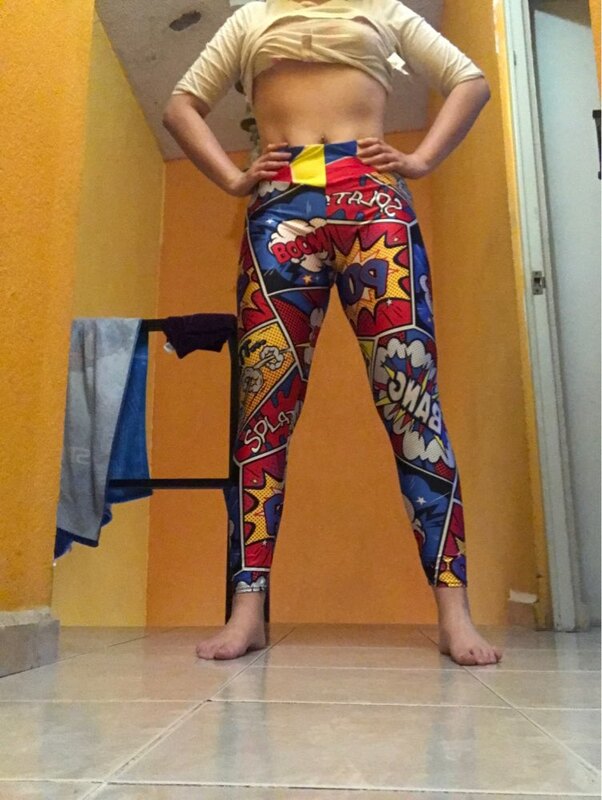 Comic Books leggings are super, very comfortable and fast shipping. Same as the image, not tansparent, EVERYTHING is excellent. Terrific size and color, just perfect. 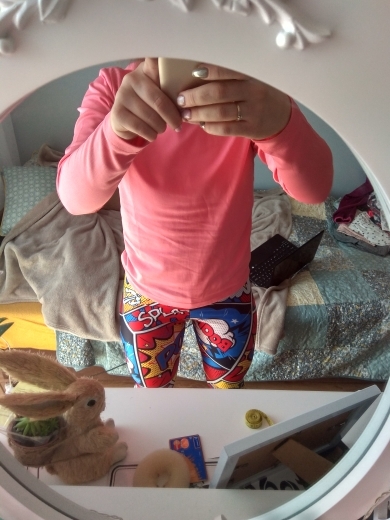 I love the feel and fit of these comic leggings. They are soft, comfortable and great quality! They are also a super fun print with bright colors! I will definitely be purchasing another pair in the future!